Art direction and design for Bear In Heaven's fourth full length album. Released on LP, CD & Digital worldwide by Dead Oceans & Hometapes on August 5th 2014. Art direction and design for the prestigious 2014 Manhattan Cocktail Classic. The mid-century modern inspired campaign consisted of website design, print & banner ads, event posters, badges and a detailed venue guide for 4 days of events kicking off with the annual black tie gala at the New York Public Library. Art direction and design for herbal goddess Adriana Ayales' Anima Mundi botanical apothecary. From a young age Adriana has dedicated herself to understanding the relationship between plants and humans. Her background integrates the understanding and application of herbs from both Central and South American tribal styles, as well as classic Western and European styles of botanical alchemy. Commissioned video art for Italian luxury brand Salvatore Ferragamo. With shop design and curation by Brown & Jackson Projects, several artists were approached to create works inspired by pieces from the Ferragamo time capsule collection. The pop-up shop was featured in the Wallis Annenberg Center for the Performing Arts in Beverly Hills, CA and was part of the opening event for the center which featured a star-studded gala and fashion show. Additional videos were created specifically for the opening gala runway show based on Ferragamo's S/S14 collection. Art direction, design and branding for Splitty, a brooklyn-based bar & restaurant by Andy McDowell of Pete's Candy Store. Inspired by the aesthetic of split windshield VW buses from the 60′s, Splitty pays tribute to the freedom and fancy of the vintage camper days with specialty cocktails by Karin Stanley of Little Branch and Dutch Kills, and specialty bao by chef Andrey Ayrapetov. Art direction and design for the prestigious Manhattan Cocktail Classic. I was approached by MCC founder and director Lesley Duval to create an art deco-inspired brand facelift for 2013. After establishing the look with the website, the style was carried over to a full campaign with print and banner ads, event posters and a detailed venue guide for 4 days of events kicking off with the annual black tie gala at the New York Public Library. Art direction and design for Sacred Lotus Skincare and Holistic Wellness. 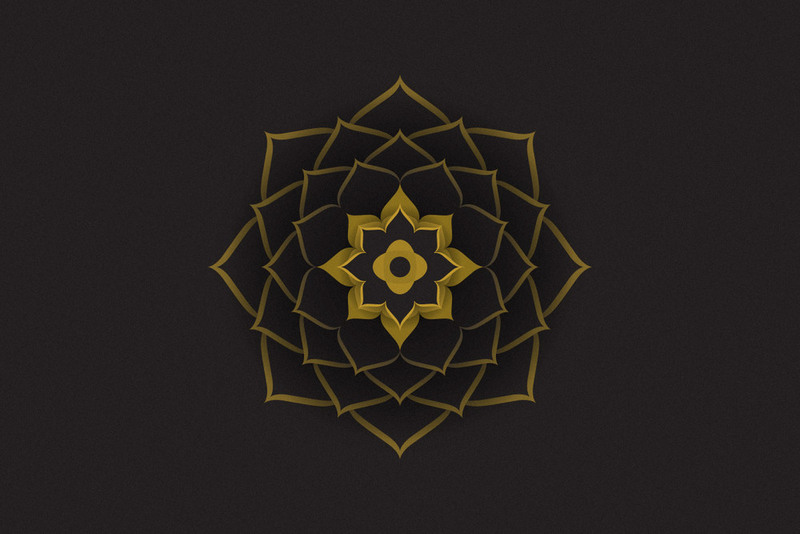 Logo based on the spiral unfolding of lotus petals. The identity system was developed for modular use with guidelines for multiple applications. Art direction and design for the DESERT debut 7″ release on Glitter End Records. Barcelona-based Cristina Checa teams up with producer Eloi Caballé for a well-crafted journey into the realms of ethereal dream pop. Listen to Desert on Soundcloud. 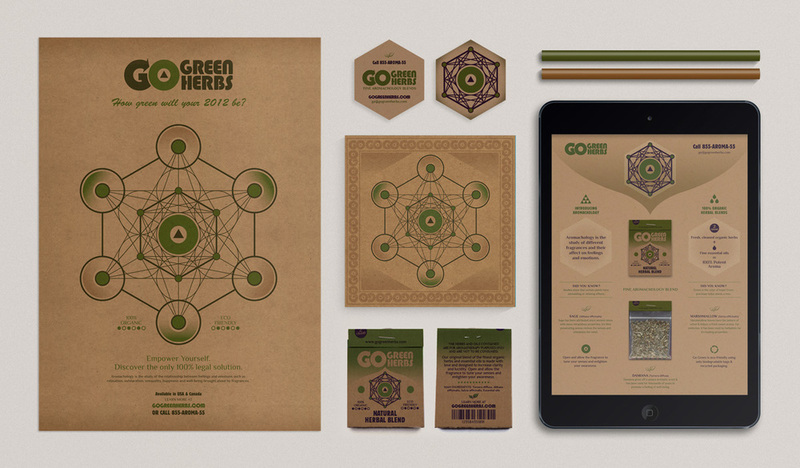 Art direction, design and concept development for Go Green Herbs brand identity. This fully comprehensive package included logo with full identity system & supporting graphics, product packaging & POP displays, magazine ads, mailers and stickers. Dusting cobwebs off this one for a flashback to my directorial debut from a series of abstract shorts created by GHAVA for Nokia's international flagship stores from 2007 to 2010. Cinematic in its approach, “Delicatessen” associates the basic need for food to the indispensable necessity for constant communication. In an elaborate serving ritual that takes place between three characters, phones are mysteriously transformed into delectable epicurean treats. Essentially, it’s technology good enough to eat. Art direction, design and development of the Nile Project brand identity system and style guide. With a strong background in music and familiarity with cultures along the Nile, I was invited to join the team at Wolff Olins alongside Nile Project founders Mina Girgis and Meklit Hadero. Art direction and design for the highly anticipated follow up to Bear In Heaven's Beast, Rest, Fourth, Mouth. I’m super-psyched to still be collaborating with my former band mates and best friends after spending a solid 6 years in the band. Galactic Resonance was founded by Bazaraa as a platform dedicated to presenting multi-disciplinary perspectives on Science, Physics, Archaeology, Ancient Civilizations, Technology, Medicine, Wisdom Traditions, Mysticism, Sacred Geometry, Spirituality, Art & Design, Consciousness, Esoteric Science and other similarly related topics. I had the pleasure of collaborating with Lewis Kofsky and his team at Curious Pictures as art director, designer and content consultant on the development of Deepak Chopra’s Leela™, a video game based on consciousness and the chakra system. Commissioned by Wolff Olins, GHAVA directed a diverse range of brand canvases for AOL ranging from live action, 3D animation and stop frame animations to richly executed, multi-layered 2D animations. Still imagery was also created for use online and in print. You can see the all of the videos that were created for this project here. Motion graphics package and on-air style guide for NBC Universal's eco-channel Green Is Universal. With a bold and fresh rebrand by Wolff Olins, GHAVA was invited to join the team in bringing it all to life. Working in close collaboration with the art direction of Tiziana Huag (Wolff Olins) and directly with the team at GIU, a comprehensive system of network assets were developed including branded end pages, snipes, lower thirds, network logo compilations and brand interstitials.